BURLINGTON, Mass. -- CIRCOR International, Inc. (NYSE: CIR), a leading provider of valves and other highly engineered products for markets including oil & gas, power generation and aerospace & defense, today announced that Vincent Sandoval will join the Company as Group President—CIRCOR Aerospace & Defense effective March 19, 2014. 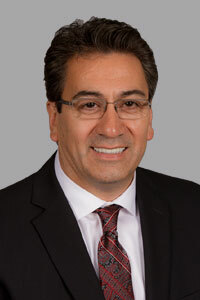 Mr. Sandoval currently is the President of TransDigm Group, Inc.’s Semco Instruments subsidiary, which designs and manufactures sensors and harnesses for use on various commercial and military airframe and engine platforms. Prior to joining TransDigm in 2010, Mr. Sandoval served 20 years in positions of increasing responsibility with Parker-Hannifin Corporation. He replaces Michael Dill who is leaving the Company to pursue other opportunities. “I also would like to thank Michael Dill for his years of dedicated service to CIRCOR and wish him well in his future endeavors,” concluded Buckhout. This press release contains forward-looking statements within the meaning of Section 27A of the Securities Act of 1933, as amended, and Section 21E of the Securities Exchange Act of 1934, as amended. Reliance should not be placed on forward-looking statements because they involve unknown risks, uncertainties and other factors, which are, in some cases, beyond the control of CIRCOR. Any statements in this press release that are not statements of historical fact are forward-looking statements, including, but not limited to, those relating to CIRCOR’s future performance. Actual events, performance or results could differ materially from the anticipated events, performance or results expressed or implied by such forward-looking statements. BEFORE MAKING ANY INVESTMENT DECISIONS REGARDING OUR COMPANY, WE STRONGLY ADVISE YOU TO READ THE SECTION ENTITLED "RISK FACTORS" IN OUR MOST RECENT ANNUAL REPORT ON FORM 10-K AND SUBSEQUENT REPORTS ON FORMS 10-Q, WHICH CAN BE ACCESSED UNDER THE "INVESTORS" LINK OF OUR WEBSITE AT WWW.CIRCOR.COM. We undertake no obligation to publicly update or revise any forward-looking statement, whether as a result of new information, future events or otherwise.